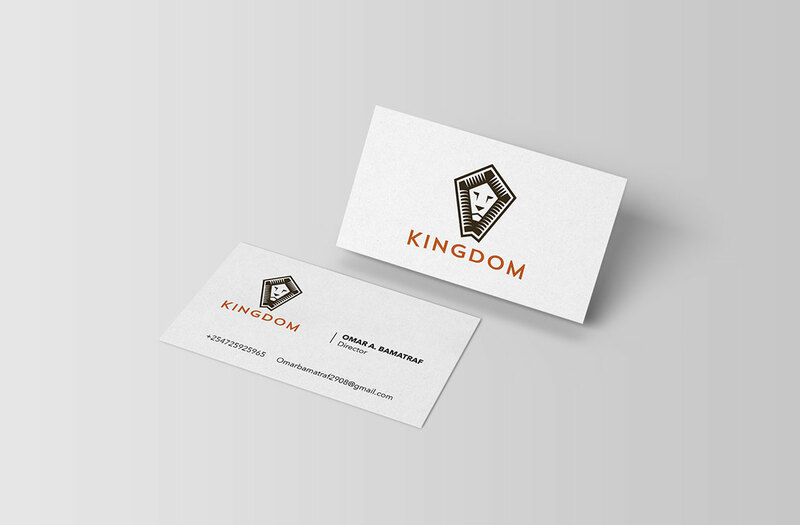 Corporate identity for “Kingdom”, a parent company out of Kenya, East Africa. 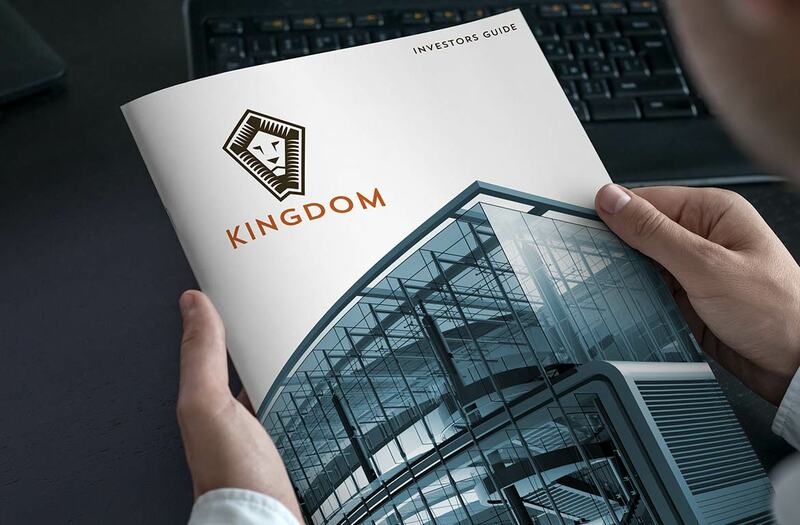 Kingdom has business ventures in the construction and media sectors. Read more about this project by clicking the “design approach” section below. The client wanted their corporate identity to reflect a sense of professionalism, versatility, strength and professionalism. 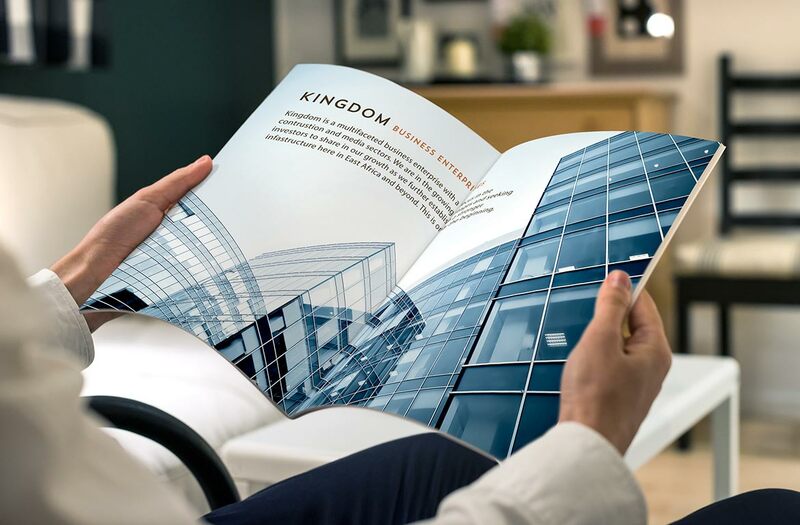 Since they’re a multifaceted company in a variety of sectors, they needed a design that wasn’t specific to just one of their industries…a brand image that would allow for future versatility. 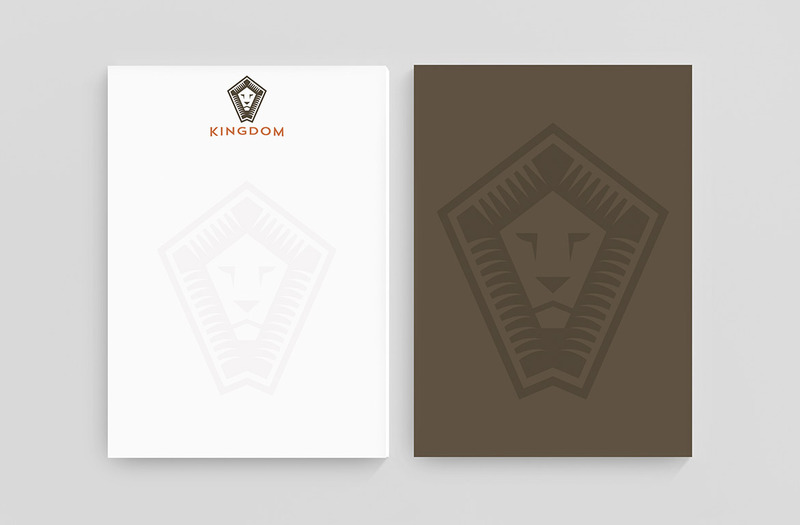 After some thought, the idea to go with a lion seemed appropriate considering the “Kingdom” name. The lion is also the pinnacle of strength; an attribute the client strongly emphasized that the logo portray. I chose to use only include a lion head in the logo because it allowed me to add some detail and still keep the logo simple enough to work in small sizes. Including the shield shape drives home the sense of “security” and “strength”. The project turned out very nicely and is one of my favorite creations to date. The client is happy with the designs and will be implementing them throughout his brand.